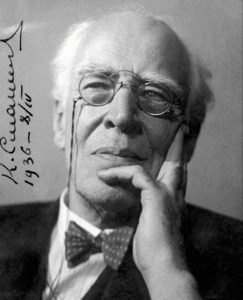 Constantin Stanislavski (1863-1938) was a Russian stage actor and director who developed the naturalistic performance technique known as the “Stanislavsky method,” commonly known as method acting. Stanislavski strove to provide actors with a structure to consistently master deep, meaningful and disciplined performances. He believed that actors needed to inhabit authentic emotion while on stage and, that only by doing so, would they succeed at drawing upon feelings they’d experienced in their own lives. Stanislavski also developed a series of exercises that encouraged actors to explore character motivations, giving performances more depth. In collaboration with the Department of Theatre Studies’s annual Stanislavsky Symposium Teatru Malta will be giving away the opportunity to attend workshops and talks given by world-class scholars from all over the globe to ONLY 15 lucky applicants. The symposium will be taking place this April between the 5th and the 7th. Applicants must be age 18 and over and need to send nothing more then a letter of interest to contact@teatrumalta.org.mt to apply.Places will be given on a first come first served basis. The S Word is an international research project that is organized and managed collaboratively by London South Bank University, University of Malta, University of California Riverside, The University of Leeds, The Western Australian Academy of Performing Arts, Macunaima Theatre School Sao Paulo, and DAMU Theatre Academy Prague.